Steel: The EnviroMetal: “Metaling” With Your Car And The Environments: Should the auto industry make a shift from steel or is aluminum just blowing smoke? “Metaling” With Your Car And The Environments: Should the auto industry make a shift from steel or is aluminum just blowing smoke? There has been a lot of talk circulating in the media and advertising arenas about the alleged benefits for automakers to shift from steel to aluminum in automobiles. The aluminum industry has invested a great deal of money into advertising their material and marketing it to auto manufacturers. The aluminum industry claims that because aluminum is lighter than steel, auto makers can use it to build cars that will burn less fuel during their lifetimes and thus, emit fewer harmful tailpipe emissions, including CO2. However, what they’re not telling automakers is that producing one ton of virgin aluminum generates approximately 10 times more CO2 emissions than the production of a ton of steel, which always has recycled content. This is before even considering the advantages of implementing new steel technologies, which can reduce the weight of a car by more than 30 percent while maintaining the vehicle’s strength and integrity. According to research by the Massachusetts Institute of Technology (MIT), when compared to the latest steel technologies, it would take more than two decades of aluminum-intensive vehicles to try and offset the amount of carbon dioxide (CO2) put into the atmosphere by the production of the aluminum needed to build those vehicles. 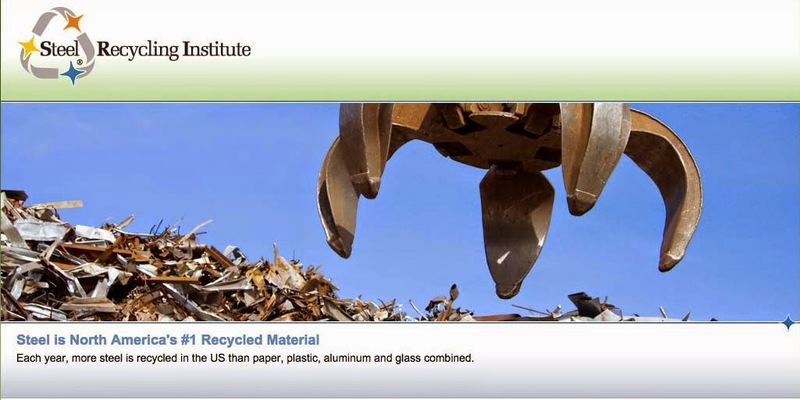 This study conducted by MIT’s Material Systems Laboratory examines the comprehensive environmental impact of CO2 emissions and other polluting substance resulting from the production and use of various automotive, manufacturing materials, including aluminum, steel and composites. The study takes into consideration the CO2 emitted when generating electricity for production, the amount of time required to offset the initial atmospheric burden consumed when producing aluminum, and the amount created during production, verses any environmental benefits derived from the use of aluminum, among other factors. percent, and mining waste by 97 percent. Steel’s recycled content has also given steel stability in pricing which contributes to the stable price for products made from steel. The aluminum industry has made an investment in developing newer, stronger and more environmentally-friendly steels. The new steel. Feel the strength!